A fellow blogging mom and "cyber" friend of mine, Mara Gorman of "Mother of All Trips" wrote a thought-provoking blog posting this past Monday. It was her year's end dream, which, in her case, was to continue to travel the world in spite of her great sorrow at having recently lost her father to cancer. I like that concept much better than a New Year's Resolution -- a Year's-End (or Year's-Begin) Dream, or Goal. Reading Mara's posting got me to thinking about my dreams and goals for 2011. Though continuing to travel is certainly a big one on the list (the alternative would be like cutting off my oxygen supply), I also want to get better at the recording these adventures -- both in the form of a blog and - later - that of a book. And it just so happens that one of my Christmas presents began to make this dream a reality. 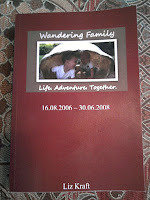 From Tobi I received a book of ourwanderingfamily postings, ranging from August of 2006 to June 0f 2008. This covers our transitions in South Africa; travels through the American "Southwest"; relocation to The Netherlands; Dutch "Carnival" celebrations; visits to Florida; and miscellaneous trips to Paris, London, Antwerp, and various other cities in Germany and the Benelux region. Sound ambitious? Maybe it was, but at the time it didn't seem to be. Most of it was done with children, though I suspect my "better half" was able to partake in about half of these outings. It's hard to believe that in those two years we had so many incredible adventures that we needed 625 pages to account for them. And I want to make this book available online. Maybe a few friends or family members will buy it. I don't expect for it to be an international bestseller; I guess I just love that I can now hold ourwanderingfamily adventures in my hands. So Dream #1 for 2011 is three-fold. 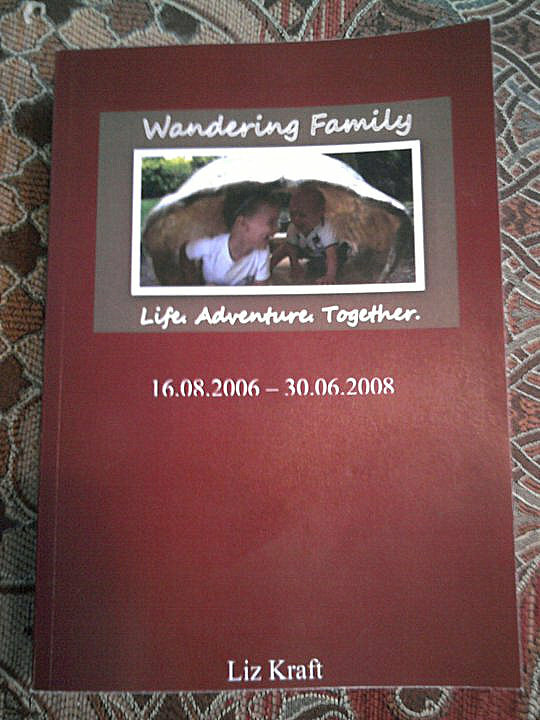 Do more blogging, get the ourwanderingfamily book for 2006 - 2008 online, and create the sequel (covering our adventures from 2008 - 2010). Dream #2 would have to be to get back to South Africa. It might not be in 2011, but we'll at least begin planning and saving for the trip next year. Lastly, there's Dream #3, which is to get serious about the pursuit of my freelance writing career. This involves sitting down at the same time, and in the same place every week, setting specific goals, and evaluating my progress on these goals regularly. Where do the kids fit in in all of this? Pursuing my dreams - and not just theirs - will enable me to be a happier, more well-adjusted mommy. My children mean the world to me. In fact, it's largely because of them that I'm embarking on this journey. Ask Lukas what he wants to be when he grows up, and he'll tell you a writer. Kids are so impressionable at this age; I love that ours will not only see the world, but learn the importance of sharing it with others. And on that note, I wish you and your family a wonderful 2011, filled with a mosaic of adventures, near or far. And if you'd like to share your dreams and goals for 2011 with us, please do. Receiving comments from readers is a special treat! Happy New Year! Let me be the first to say I would love to purchase your travel book!